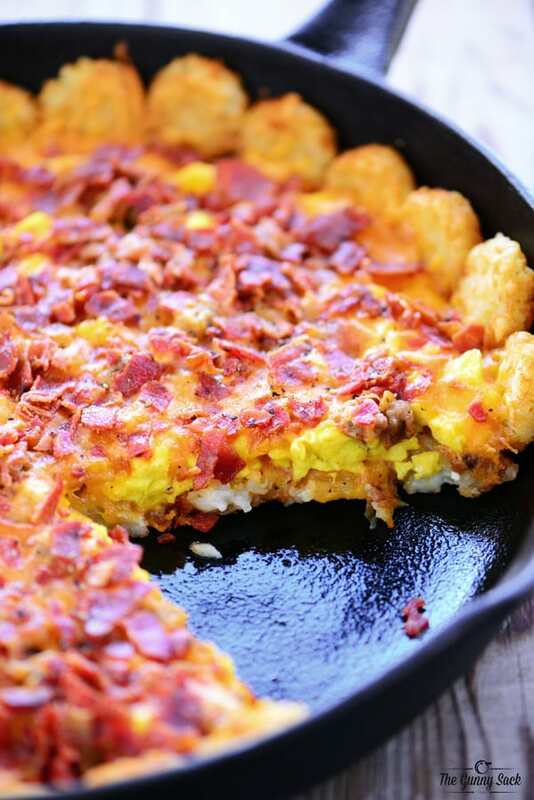 This Easy Frittata Recipe is a skillet egg bake that is low carb without a crust. 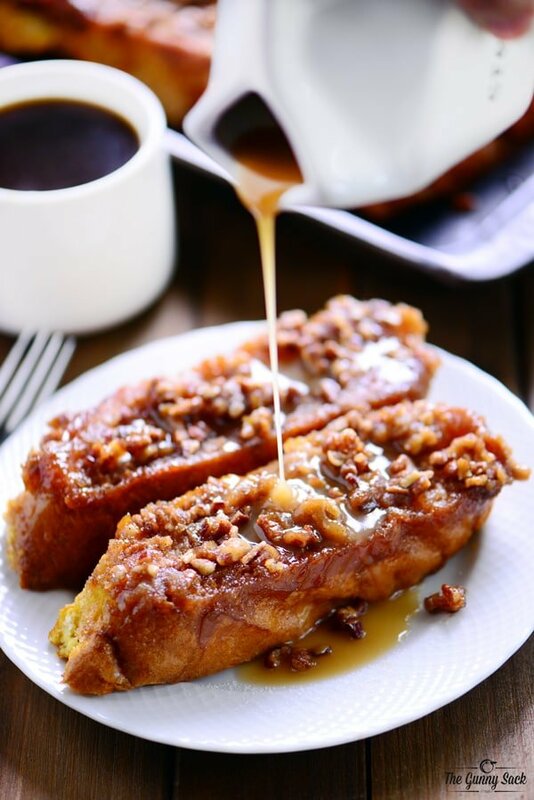 This delicious breakfast is a great way to start the day! My intention most mornings is to start with a hearty breakfast but by the time I get around to eating breakfast, it often ends up being a banana or a protein bar. 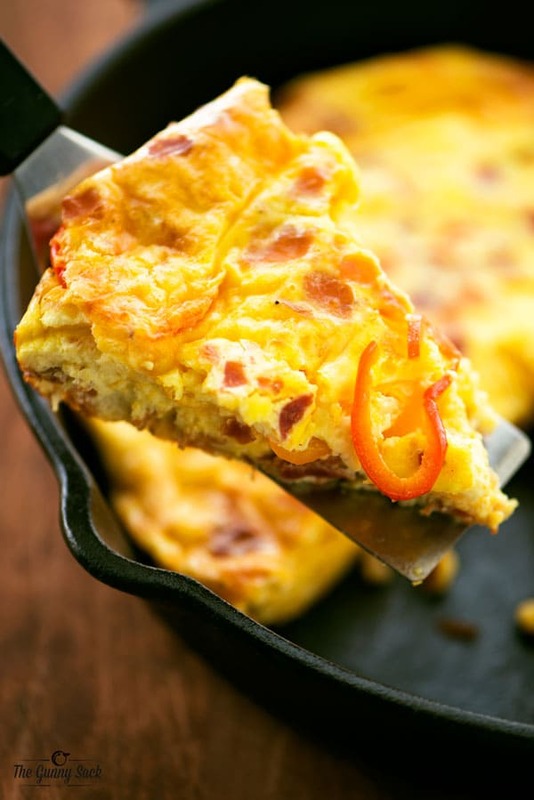 This Easy Frittata Recipe is my way of making breakfast ahead of time. I stored leftover slices individually in the freezer and was able to warm them up in the microwave whenever I want eggs for breakfast! Whisk together eggs, sour cream, heavy cream, salt, pepper and minced onions. 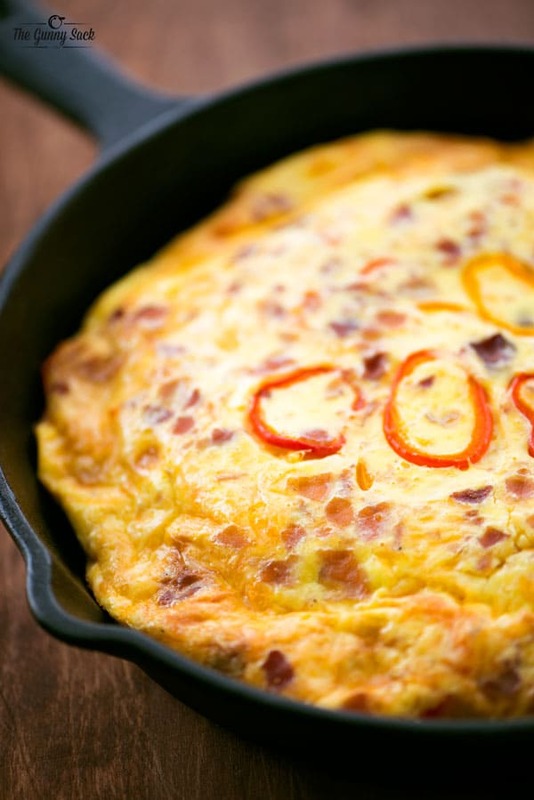 Pour the egg mixture into a greased 12-inch cast iron skillet or casserole dish. 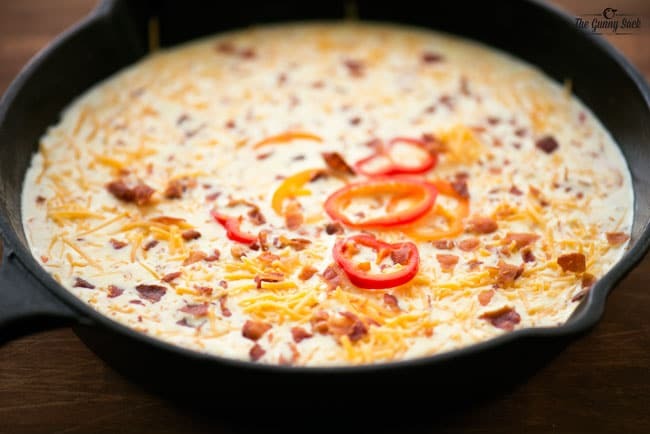 Top sliced peppers, crumbled bacon and shredded cheese. Or any of your favorite veggies or breakfast meats. Bake at 400 degrees for 30-35 minutes until a knife inserted in the center comes out clean. 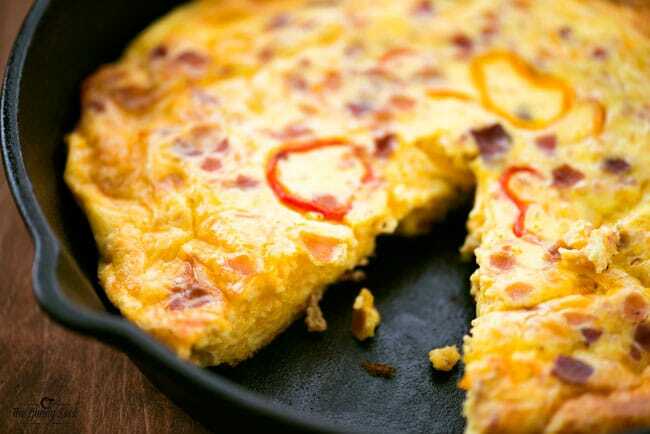 This Easy Frittata Recipe is a great way to start the day. 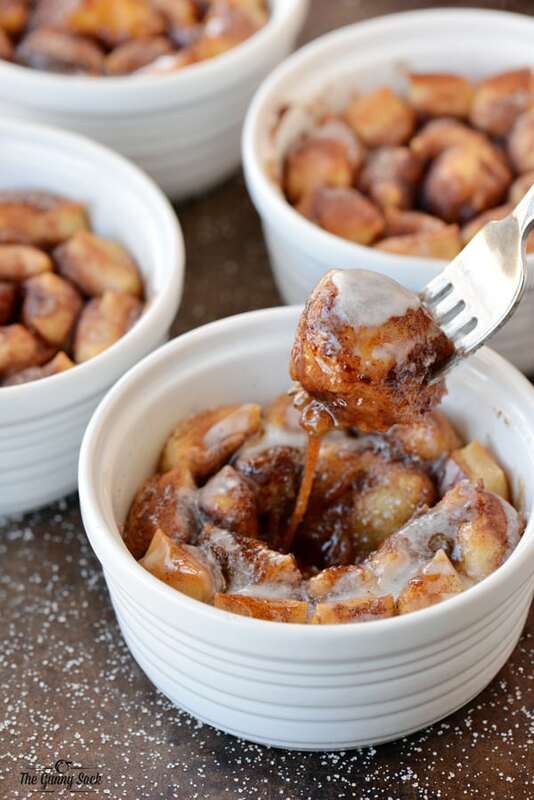 I find that it keeps me full for longer and it is low in carbs without the crust. I can’t wait to try more varieties with different combinations of meats, veggies, and cheeses. 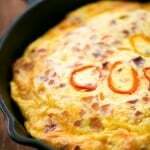 Whisk together the eggs, sour cream, heavy cream, salt, pepper and minced onions. 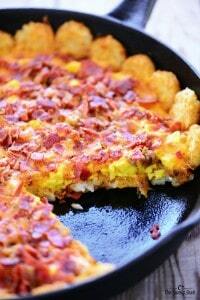 Top with shredded cheddar cheese, sliced peppers, and crumbled bacon.